What’s the last yummy treat you craved? A cupcake? Chocolate? Pizza? Now try to imagine the opposite feeling of that craving. That’s what a feeding aversion feels like. 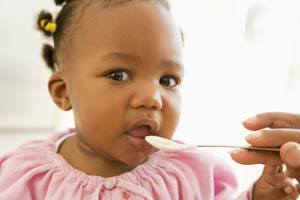 In this article, we discuss what feeding aversion is and what to do when your infant or toddler won't eat. Oral aversion is a fear, reluctance, or even avoidance of drinking or eating. It's related to avoiding any sensation in or around the mouth, hints the name. Another common term that is used for it is an eating phobia. If your baby is avoiding your breastmilk (check out our complete breastmilk guide here), this is a series problem. In addition, if your toddler won't eat, it's normal to freak out. If your baby is eating without any issues but isn't gaining weight properly, it's also possible that the fat content in your breastmilk might be too low (find out what you can do here). The best food aversion meaning is simply a repulsion to food or drink. If you've never experienced it, imagine disgust for anything food related, even if you're starving. Can infants and toddlers experience feeding aversion? Yes, babies can experience infant food aversion. 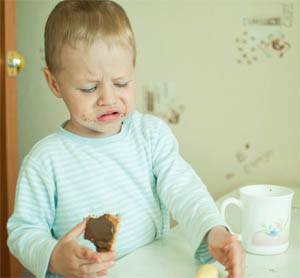 Food aversion in toddlers is also common. In addition, adults can experience food aversion, most often during pregnancy. In addition, children can experience texture aversion to foods, which includes avoiding foods with certain textures or tastes. This goes way behind your child just not liking vegetables though. It can be present in children with autism and might be linked to sensory processing disorder. 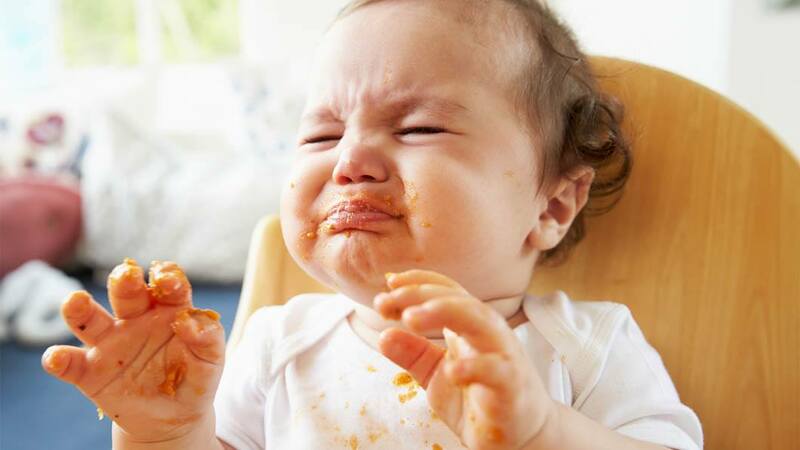 In this article we’re going to strictly focus on infant and toddler food aversion. When my son was about four weeks old, he developed a sudden aversion to food with my breast milk. He started behaving strangely while eating. Basically, he would scream and arch his back, particularly when feeding started. Also, he would sometimes spit up making it a struggle to get him to eat. He was still gaining some weight, but he was a skinny little twig. I was so worried! What was wrong with my son? As we later found out, eating hurt for my son. He had bad reflux that made him uncomfortable a lot of the time. Sometimes the reflux would really act up when I put him in position to breastfeed. A couple of visits to the pediatrician later, my son was diagnosed with reflux. Consequently, we were given medicine to control it. However, I also changed the bottles I was using. There are a few great bottles designed to prevent air from getting into your little one's tummy, which can help a lot with reflux. For example, the Comotomo Baby Bottle is a great option! Trying a new bottle designed to ease tummy trouble is a cheap solution that might really help! Bottles like ones designed by Comotomo can help reduce issues with gas, reflux, and colic. You can check out our entire recommended list of bottles here. Also, I cut dairy out of my diet and changed feeding positions. When these issues were addressed, feeding pain stopped, and my son then ate normally. My little guy finally had relief! 1. If you think you're little one might have reflux, check out this reflux guide on what you can do here. 2. Or, if your little one is experiencing gas in their tummy, this guide has lots of tips on how to soothe gas pain in your little one. 3. Finally, if think your little one might have colic (are they crying a lot, especially around meal time? ), check out this colic survival guide with veteran mommy tips on what to do. Common symptoms include when your baby arches back when eating, your baby cries while eating solids, eats very little during feeding sessions, or even avoids eating altogether. Figuring out what is going on when your newborn refuses to eat or your baby refuses to eat solids can be difficult. 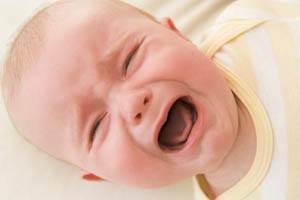 Look out for your baby crying while eating solids, when taking a bottle, breastfeeding or even baby refuse formula. In addition, you may also notice gagging, vomiting, spitting during and after eating, or babies arching back while eating. The lack of nutrition may cause reduced weight gain, lost weight, or excessive sleepiness. How common is food aversion? Dr. Carolyn Steinberg estimates that up to 25% of all infants have some degree of feeding problems. This estimate increases to up to 80% for infants who are developmentally delayed. Food aversion in toddlers or infants begins with your child associating feeding or oral stimulation with negativity. It can be more than just picky eating when your toddler or infant refuse to eat. For my son and many other kids, eating is painful. For other children, eating may be scary if it is difficult for them to swallow correctly. Still, for others, the sensations involved with eating may be so unpleasant or strange that they avoid it even though they're starving. Experiencing a newborn refusing to eat can be extremely alarming. It's best to seek help as soon as possible. Eating is a more complicated process than most of us realize. It is not simply a matter of chew and swallow. Overall, eating is not an instinctive behavior, nor is it the body’s first priority. According to Dr. Kay Toomey, eating is actually the body’s third priority after breathing and not falling over on your head. Eating is instinctive early in a baby’s life. However, eating transitions to a learned behavior. Infants have motor reflexes, such as sucking and swallowing. Additionally, these reflexes drive their eating for the first several months of life. However, Dr. Toomey says that after about six months, eating becomes a voluntary, learned behavior. The complexity of eating is staggering, as it takes 26 muscles and 6 nerves just to swallow. Eating engages all of your senses and involves many of your organs, so there's a lot that can go wrong. Imagine eating a bowl of cereal. First, you balance yourself in a chair and keep your head upright. In addition, you hold a spoon and navigate it from the bowl to your mouth without spilling food everywhere. You chew the cereal, using your tongue and jaws to move the cereal around in your mouth. Most importantly, you avoid choking. To do this, you coordinate your tongue and other muscles to swallow the food, which enters your stomach. Now you engage your stomach, intestines, and other organs to complete the process of digestion. Most of us eat three times a day (or more) for our whole lives without any problems. It is miraculous that you do not have to put much conscious effort into the eating process. A baby must go through the process of learning how to eat. Therefore, monitoring your child’s feeding issues to determine if intervention is needed is important. A wide range of underlying issues may cause food aversion in infants and toddlers. The Reflux Infants Support Network notes that a child who associates food with pain will not eat until the cause of the pain is fixed. The same would be true for other causes food aversion. So what are the causes of food aversion in babies and toddlers? A food aversion may start when a baby wants to breastfeed rather than take a bottle. The transition between the breast and a bottle can be slow, but a gradual introduction of bottles solves that problem. Some children, especially premature children, may associate having things in their mouths with pain. In essence, infants learn through their mouths, which are highly sensitive. Premature babies may require breathing tubes, feeding tubes, and other medical treatments. Consequently, they learn that it hurts when things go in their mouths, which may result in baby refusing to eat. Children may have medical or motor issues that make eating painful or difficult. Some children may have trouble chewing or swallowing, which makes eating feel dangerous or frightening. Therefore, if a child is aware that eating is hard for her, she may simply avoid it. Children with reflux or gastrointestinal problems find eating difficult or cannot keep food down. These kids associate eating with such unpleasant feelings as pain, vomiting, or gagging. Still other children may have difficulty adjusting to the sensations of eating. Some children who are sensitive to taste, texture, and smell may eat only a few foods. Additionally, other children lack the sensitivity required to react appropriately to food. Feedingmatters.org notes that eating issues are associated with a number of medical conditions, including autism, cerebral palsy, congenital heart disease, prematurity, reflux, Down Syndrome, and failure to thrive. If your infant refuses to eat, it's best to get professional help as soon as possible. The longer a child goes without eating normally, the more difficult learning proper eating habits will be. As a consequence, they may take time to learn to chew, swallow, and regulate hunger. They may also have difficulty accepting different flavors and textures. When eating is unpleasant or painful, children’s bodies may turn off their appetites. Therefore, it is important to intervene early and help your child develop normal eating patterns. It's suggested that parents find a trustworthy pediatrician and ask questions. My pediatrician was a life-saver when it came to my son’s reflux. 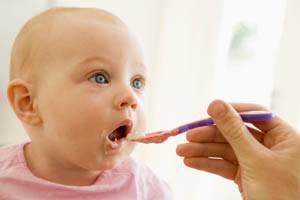 Your pediatrician may be able to offer you some ideas of how to improve your feeding sessions. In addition, she may refer you to a specialist to assess your child for extra services which may include food aversion therapy (can also be called feeding aversion therapy). Basic solutions may help a child who is having issues during feedings. For example, your baby may prefer a different bottle, warmer formula, or a more upright eating position. Your child may need a little distraction during mealtimes or more positive reinforcement. Staying calm during feedings is very important. Remember your baby is not rejecting you, he’s just trying to figure out what’s going on with eating. Meeting with a lactation consultant can be very helpful if you are breastfeeding. If major interventions are needed for any food aversion disorders, your doctor may refer you to a other specialists. The services of a speech pathologist, occupational therapist, or psychologist may be helpful. They can work with your child on physical and sensory therapies that support eating. Speech pathologists work with muscles used for eating and can assist in developing motor skills. Occupational therapists and psychologists may help a child deal with any sensory or emotional issues that interfere with eating. These professionals will sometimes be part of a larger feeding team that may include your pediatrician and a nutritionist. Protocols for treating food aversion may be addressed with your medical care providers. There are some things you should avoid with aversion to feeding. First, do not force feed your child. This creates additional negative feelings toward eating, which may make the aversion worse. You should also try not to make food into a battleground. Find ways to encourage positive eating interactions so that the child does not associate eating with stress and frustration. Positive reinforcement is the goal. In this article we covered an overview of what aversion to feeding is, its symptoms, and its causes. We also discussed what you can do to make it better. I hope you found this article helpful and that it inspired hope. Aversion to feeding can be difficult to handle. However, many resources are available to help solve the problem. Good luck! If you found this article helpful, please share it using the social media buttons below the References section. Sharing is caring! Sharing helps us get the word out, help others, and continue to write more great content. Thanks! Dr. Carolyn Steinberg, “Feeding disorders of infants, toddlers, and preschoolers,” BCMJ, Vol. 49, No. 4, May 2007, page(s) 183-186. Dr. Kay Toomey, “Top Ten Myths of Mealtime in America,” SOS Approach to Feeding. “Feeding Matters Awareness Brochure,” Feedingmatters.org, May 2014. “Feed refusers – strategies and options,” Reflux Infants Support Association Inc.
 “When Baby Refuses a Bottle,” La Leche League International, Sept.-Oct. 1994. Healow and Sliter, “Oral Aversion in the Breastfed Neonate,” La Leche League International, August 2000. Debra Lowsky, “Food Refusal – Is It Oral Motor or Sensory Related?” ARK Therapeutic Services Inc. blog, November 10, 2014. “Feed refusers – strategies and options.” See link above. “Feeding Matters Awareness Brochure." See link above. Dr. Kay Toomey, “When Children Won’t Eat: Understanding the ‘Why’s’ and How to Help,” SOS Approach to Feeding. Fishbein, Cox, Walbert, and Fraker, “Comprehensive Treatment of Feed Aversion in Children,” TreatingEatingDisorders.com. Virginia Sole-Smith, “When Your Baby Won’t Eat,” New York Times, February 4, 2016. “How to Handle Picky Eaters,” Zero To Three, April 18, 2010.